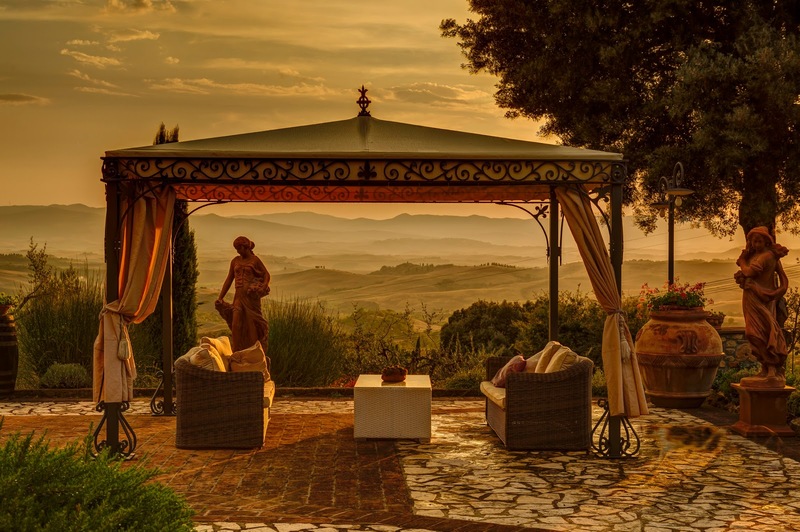 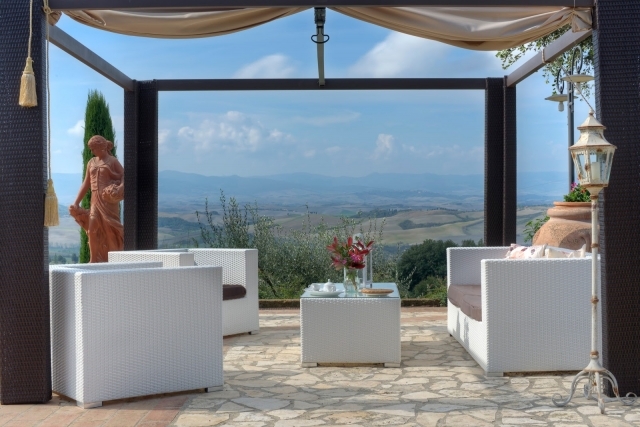 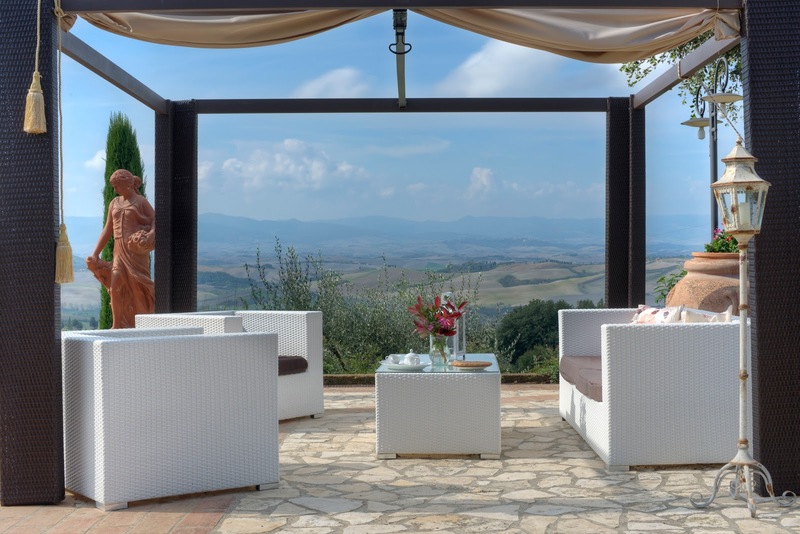 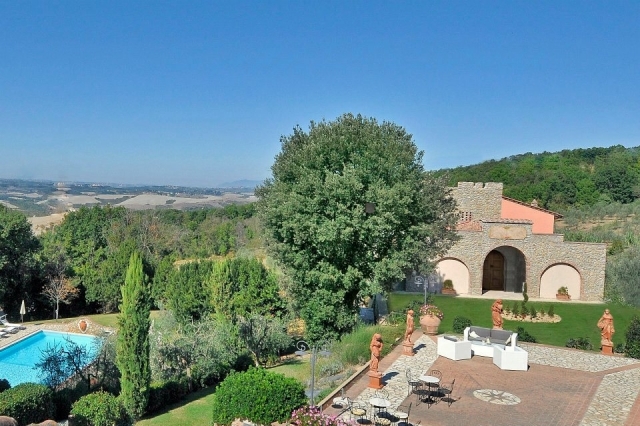 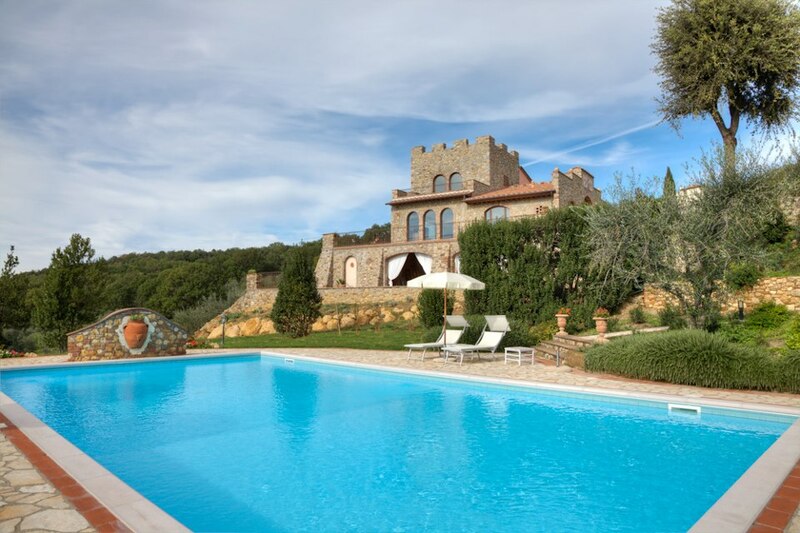 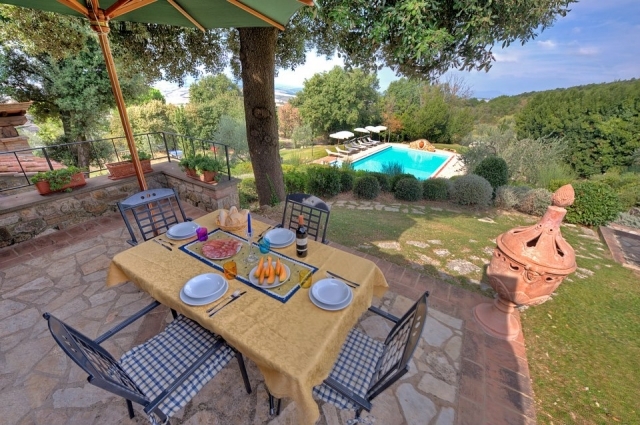 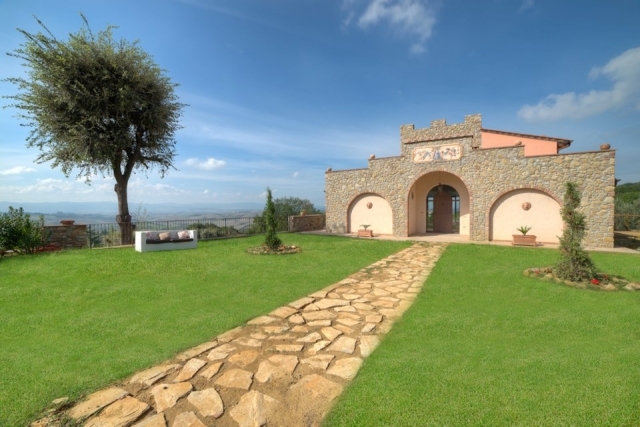 Villa is a beautiful independent villa with private pool situated in the heart of Tuscany, between San Gimignano and Volterra, surrounded by a splendid natural scenery, overlooking the valley once known as Etruscan barn, which still preserves the antique beauty. 500m m away the village of Iano, tranquil and peaceful oasis that blends relax with all facilities. 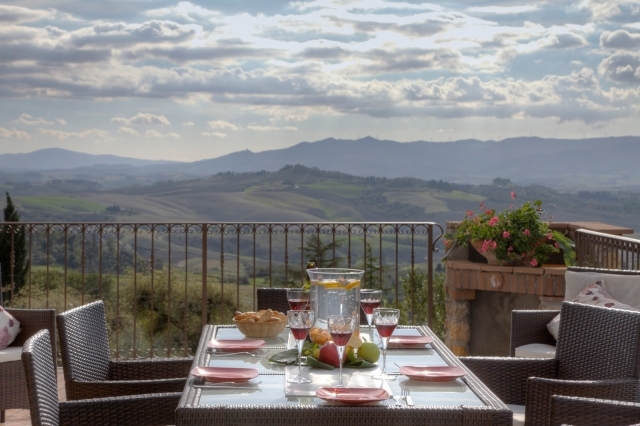 It is great to know that in the village there are a couple of restaurants, a bar and a grocery. Your morning stroll for shopping and a cappuccino will start each day off on the right foot and with people around you will feel part of the community. 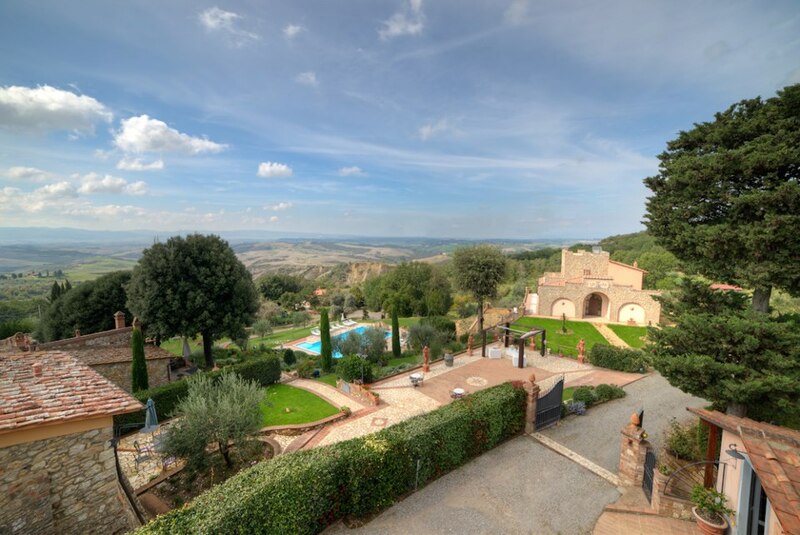 The possibilities for day trips is almost endless, San Gimignano, Siena, Florence, Pisa, Volterra to name but a few. 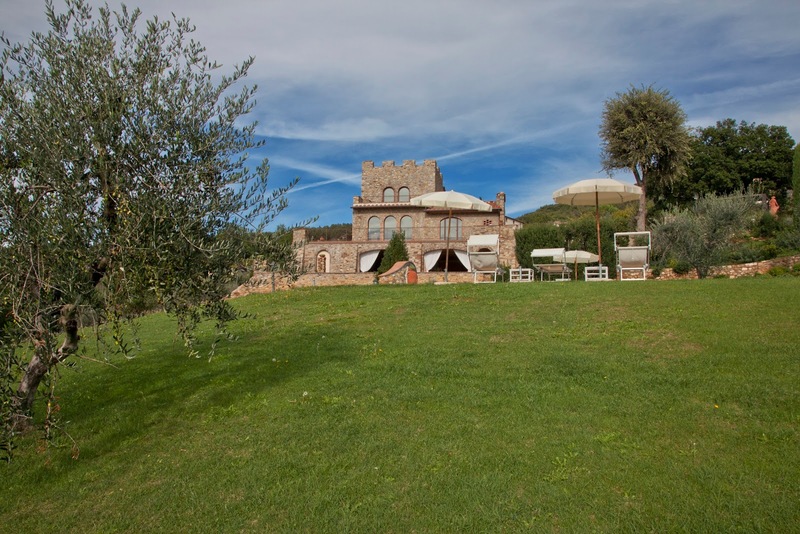 For equestrian sports lovers on request the owner offers the possibility to experience long excursions on horseback among spectacular hills. 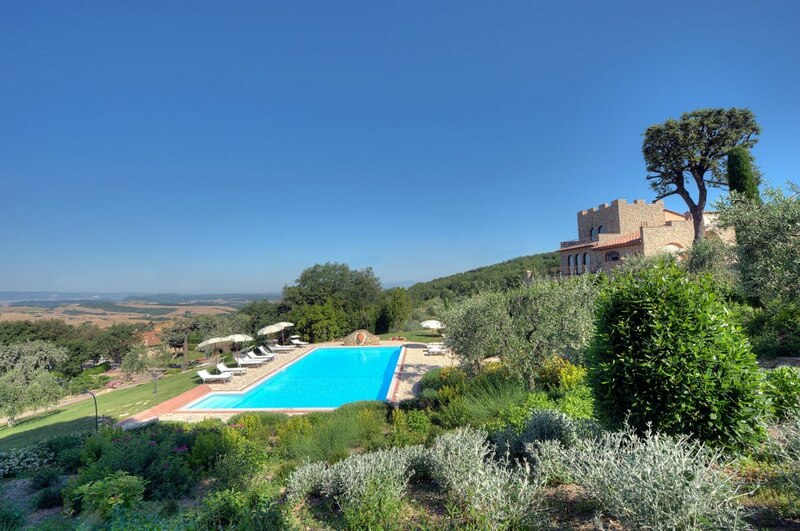 It is also possible to play golf on the beautiful course in Castelfalfi with 18 holes, a green and a bunker for practicing. 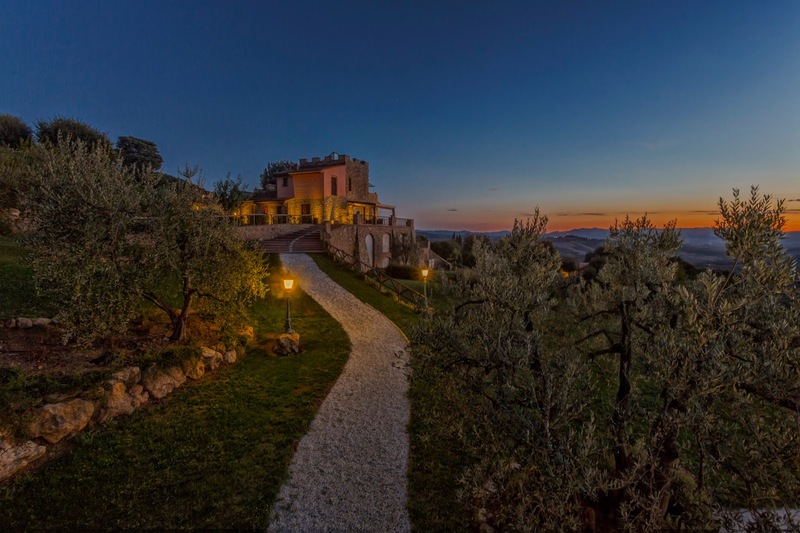 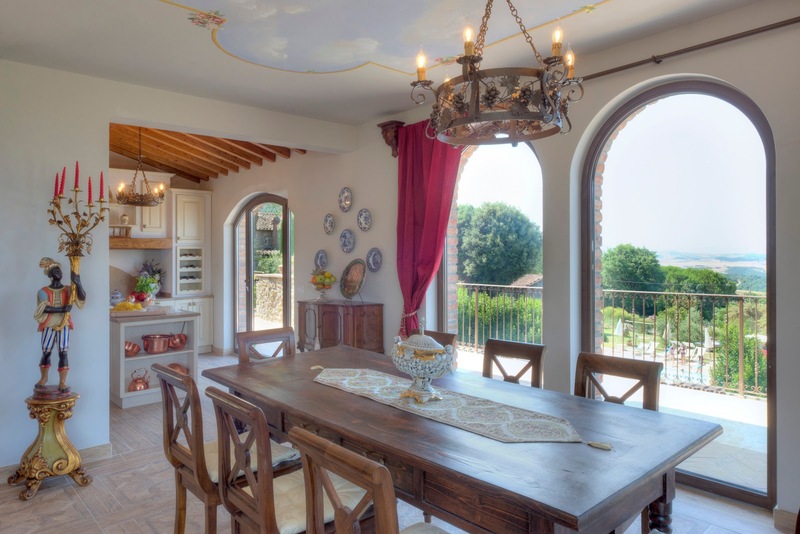 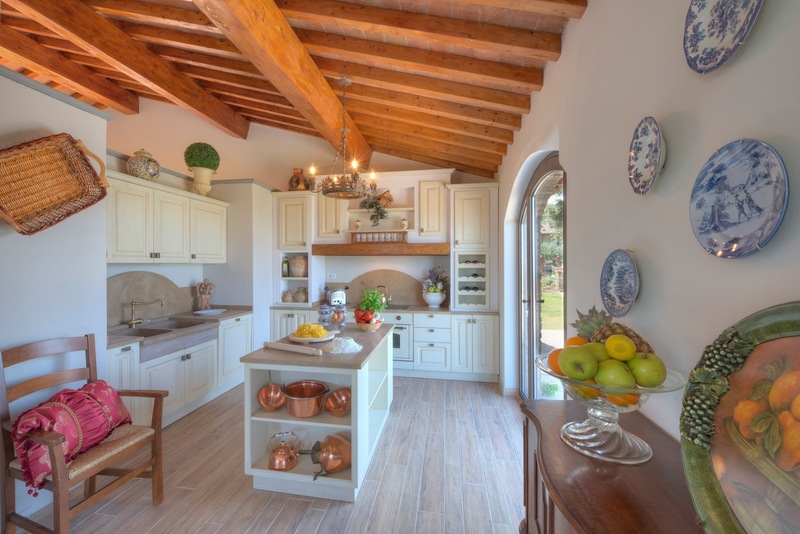 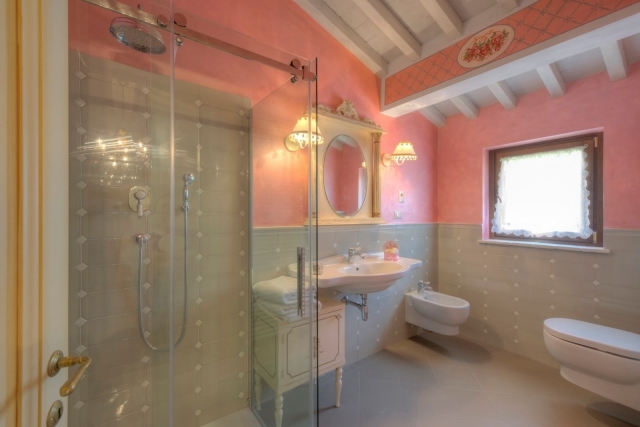 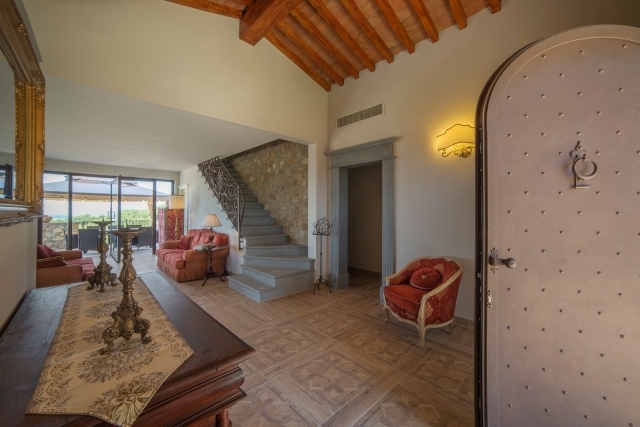 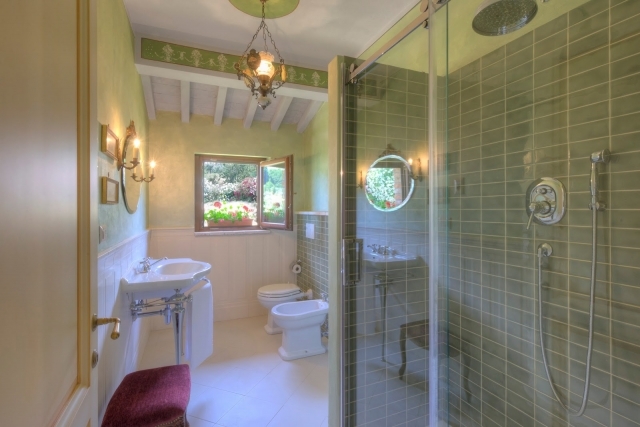 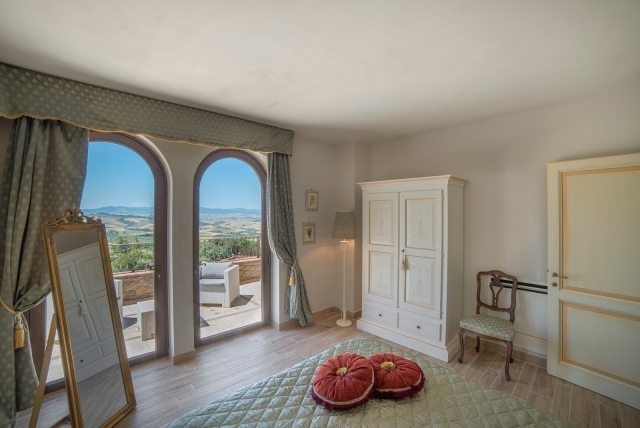 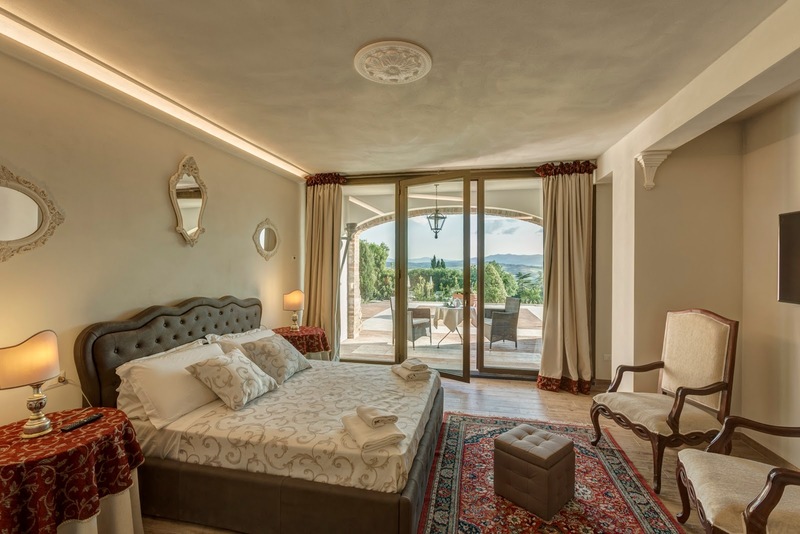 The restoration of the villa has been done respecting the standards of Tuscan old rural tradition with particular attention to details and finishing touches. 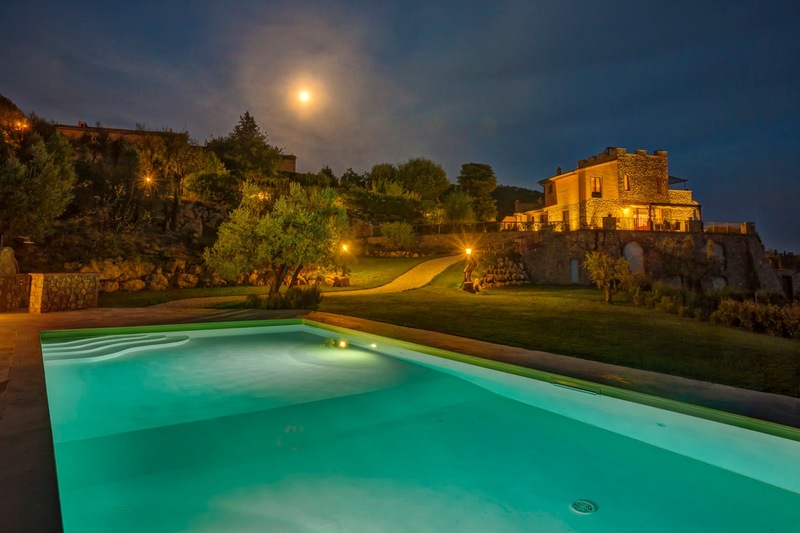 The swimming pool (12×6 depth 1-1,4m) (25/04-31/10) is located below the villa, about 20 m from the house, and is the perfect place to relax and take in the Tuscan sun. 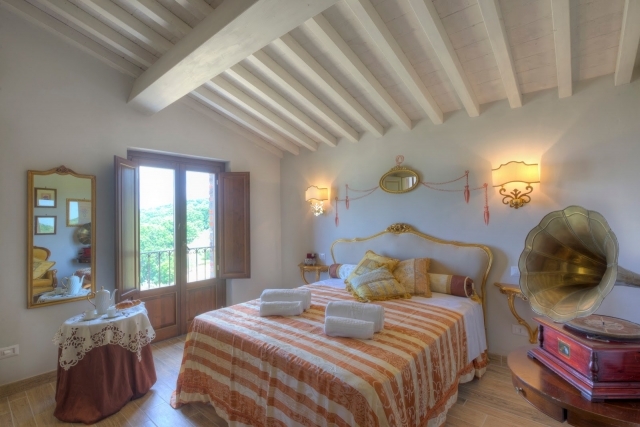 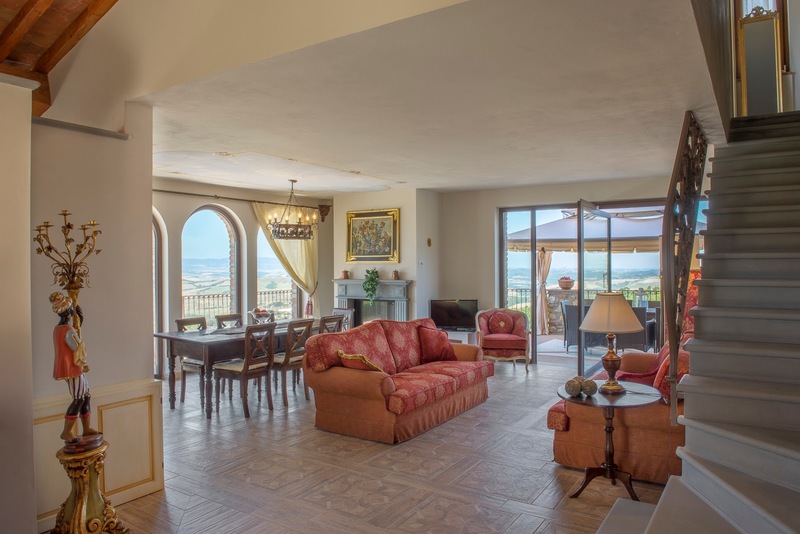 The villa has internet wi fi connection and air conditioning in the bedrooms. 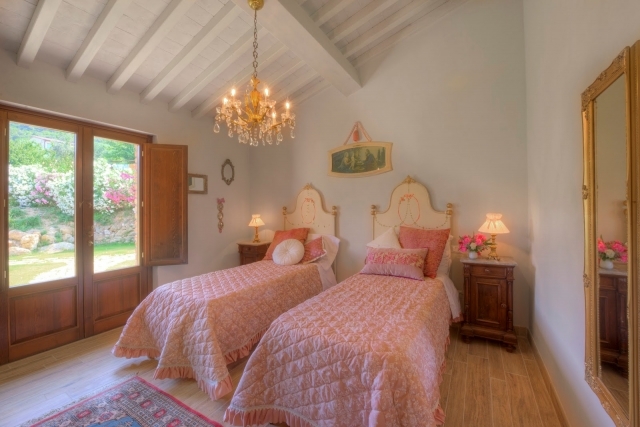 On request and to be paid on the spot: domestic help and baby bed. 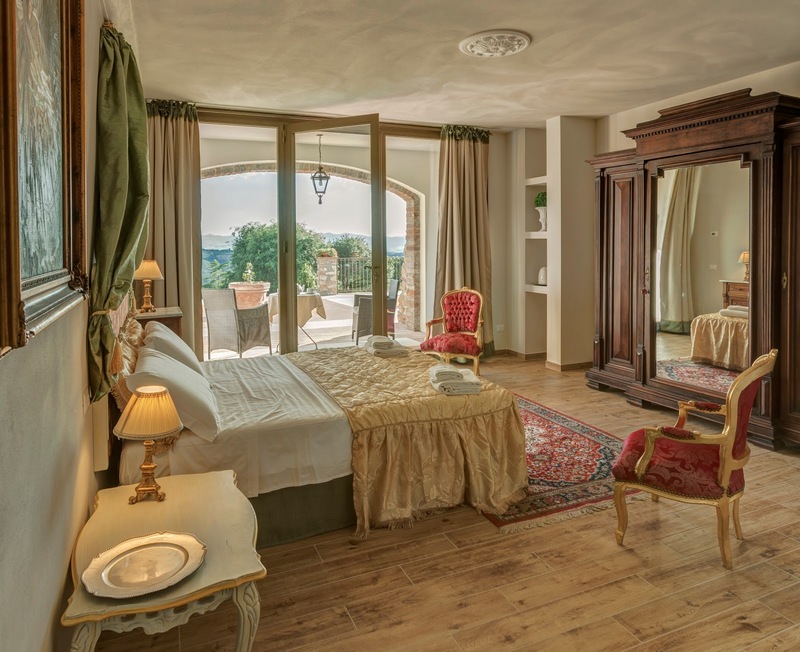 PLEASE NOTE: pets allowed on request and upon payment 75 Eur/week/animal (they are not allowed in high season). 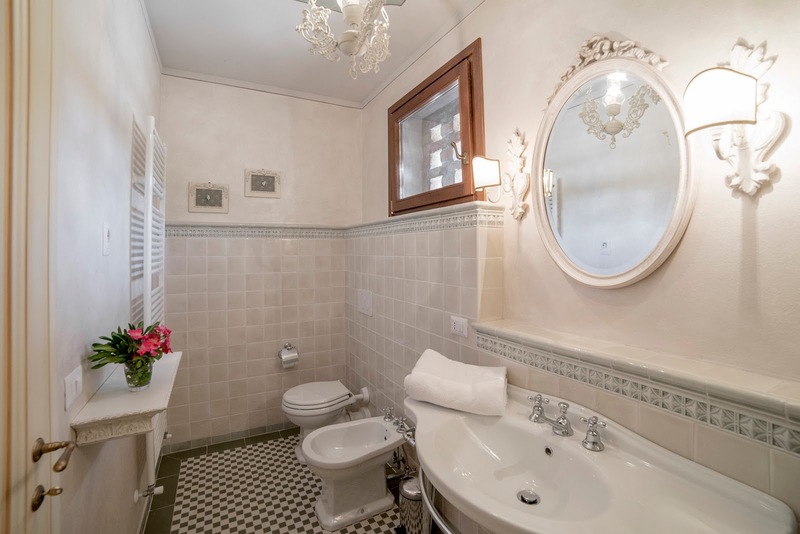 Separate waste collection is compulsory. Ground floor: living/dining room (satellite TV) characterized by large windows overlooking the outside and with access onto a large terrace with table and chairs for outdoor dining or for relaxing outside, kitchen (oven, freezer, dishwasher, microwave, coffee American machine, coffee maker moka, 4 double bedrooms each with private bathroom with shower. 1st Fl . 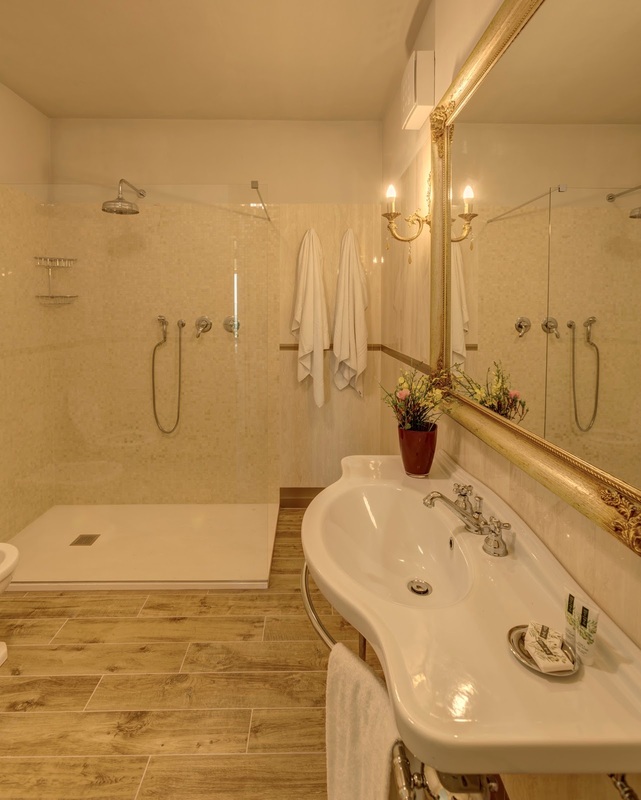 : 2 double bedrooms each with bathroom with shower. All double beds can be divided. Air conditioning in the bedrooms. 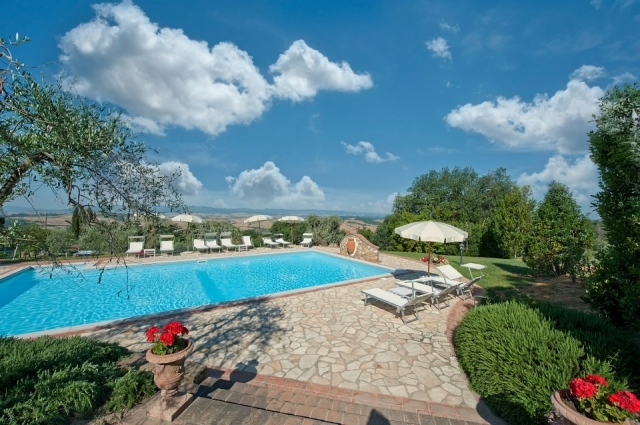 500 m (grocery shop, restaurant, minimarket), 20 km San Gimignano and Volterra, 65 km Cecina (beaches) and Siena.